You are currently browsing the category archive for the ‘Salad’ category. Don’t let the word “anchovy” send you over the bend. It’s the salty, spicy deliciousness hidden in many foods. The recipe is based upon one found in The Best of Food & Wine (1984). This salad is one of my favorites. It goes together very, very quickly. The salad is dressed with warm dressing. 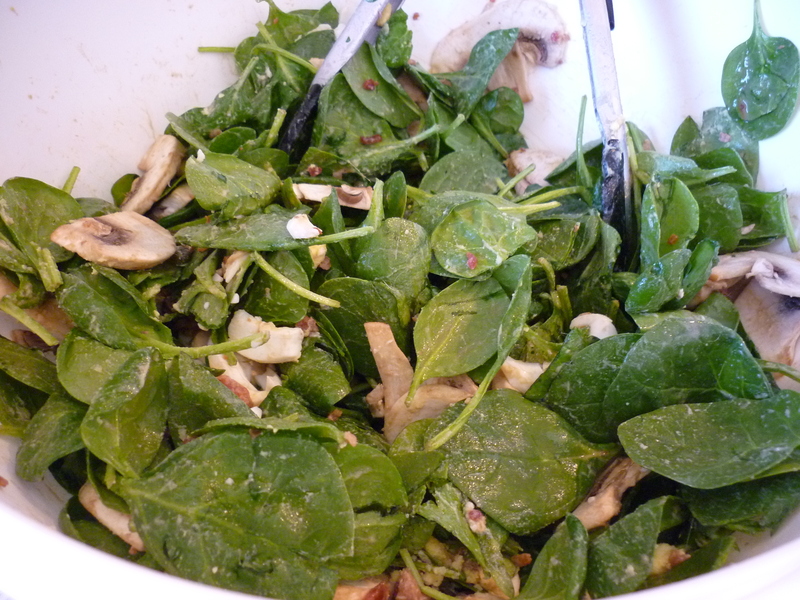 Place the spinach into a very large bowl. 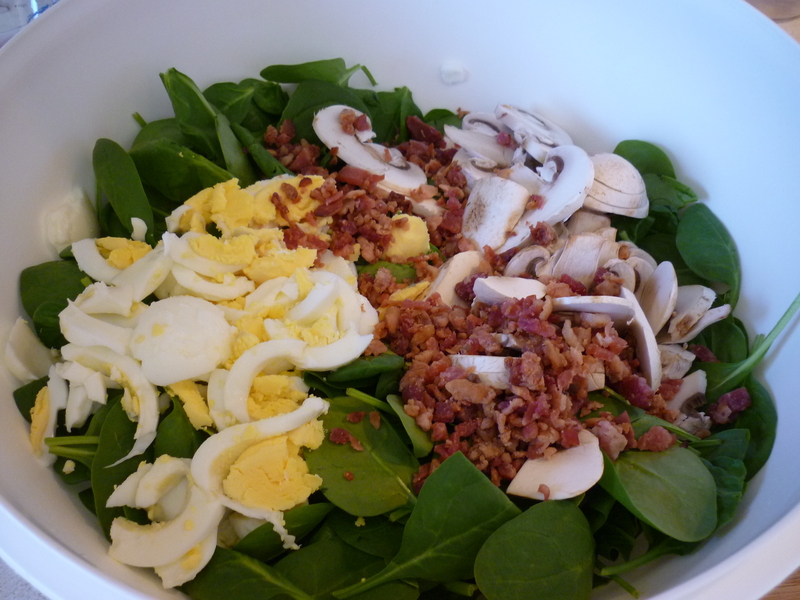 Scatter the egg, mushroom, and bacon pieces across the top. In a small saucepan, heat the anchovies, anchovy oil, olive oil and sesame oil over moderate heat, stirring until the anchovies dissolve, 2 to 3 minutes. 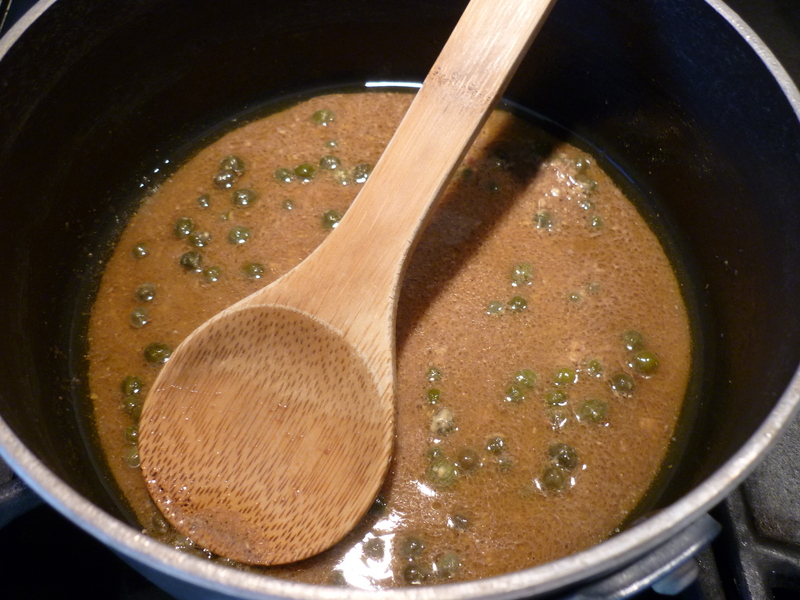 Turn off the heat and stir in the vinegar, capers and mustard. 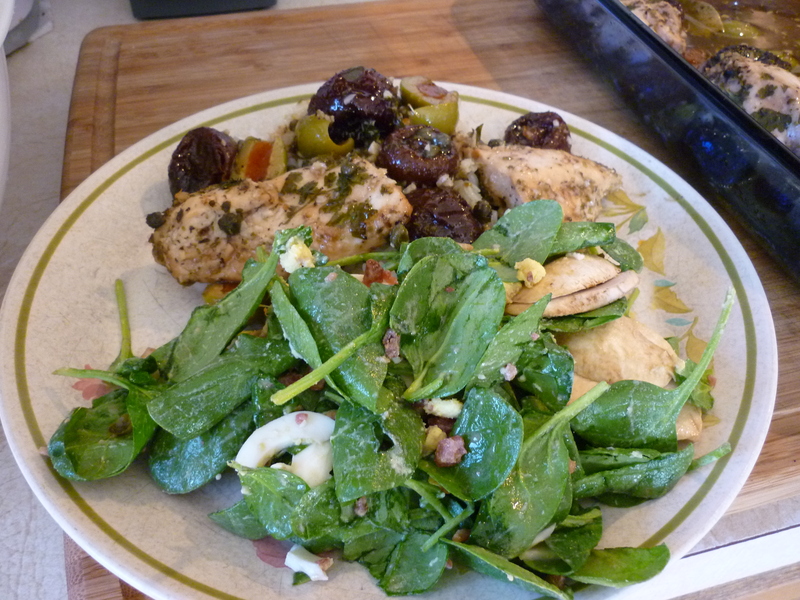 Bring the dressing to a boil over moderately high heat for about 5 seconds, drizzle over the salad and toss.